Google can help you find answers to a lot of your questions. Knowing how to use Google can improve your productivity and simplify your developer’s life. 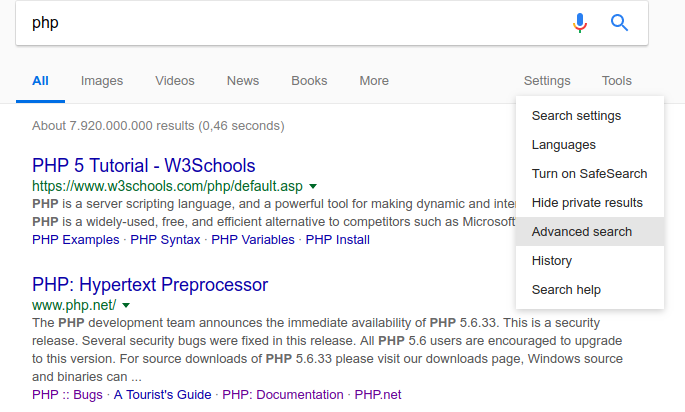 Learn how to find the relevant information you seek by excluding keywords, or matching the entire phrases, and more. 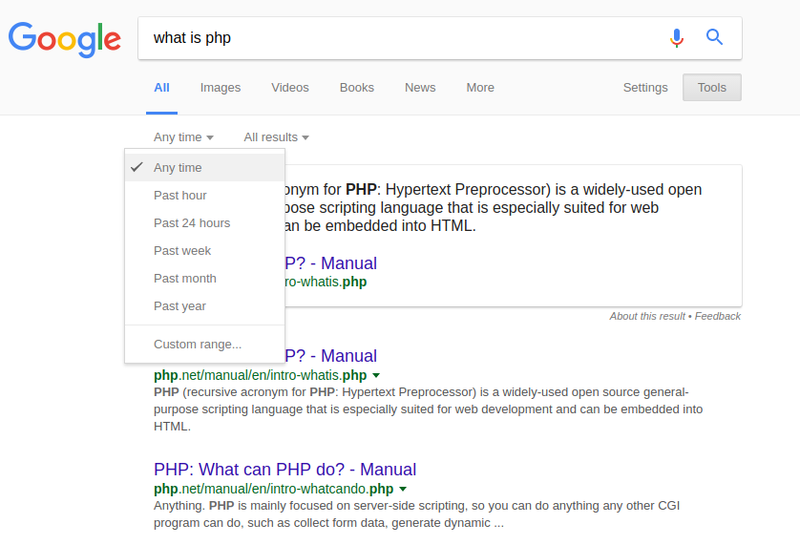 Using Google to search for an error message or a specific PHP function is quick and gives you an appropriate answer on the first results page. The allintitle: operator searches all the given keywords in the title. 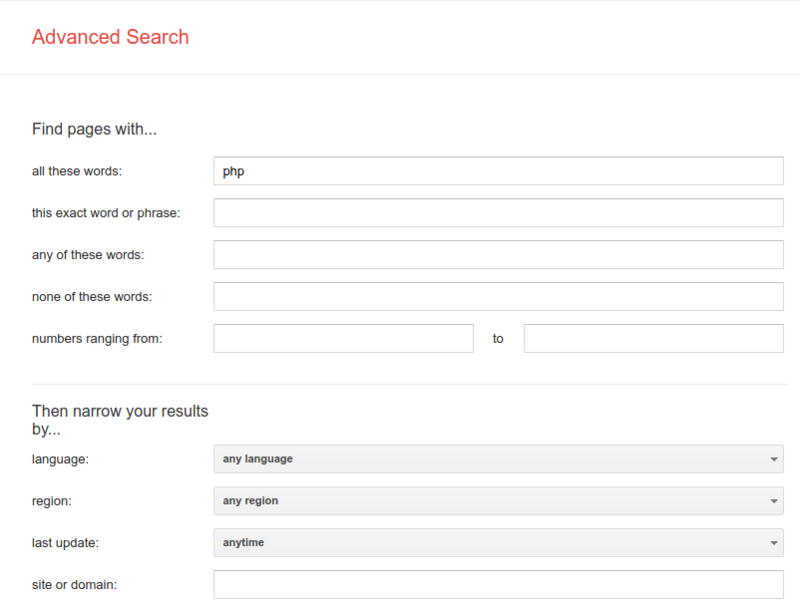 Similarly also the allinurl: works for all keywords in the URL. If you do not know a fitting word, you can use wildcard searching using an asterisk character * for similar phrases. When a website is not reachable due to server-downtime or a maintenance, sometimes you can use a Cached option by clicking on the downward arrow next to the link. Google will show you a last cached version of that link if available. If you want newly released material (for example, a PHP tutorial for how to make a login rather than a tutorial from years ago), you can select a specific time range by clicking Tools and then the drop-down menu where it says Any time. From there, you can set the time range you want. How to find out who links to my site? Google can show you who links to your site, which can help with your SEO (even though Google Search Console is recommended for that).